PAC Platinum Series S01 set comprises of 15 brushes which is ideal for face/eyes application/blending purposes. These brushes are a combination of different shape and sizes. Define your creativity with PAC Platinum series S01 kit. These brushes come in a handy brush pouch to keep your brushes organised. This kit will surely be your holy grail. 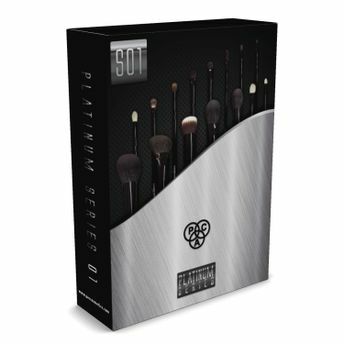 Includes 15 face/eye makeup essentail brushes. Soft fibres are ideal for adding defination. Helps in creating a flawless texture. Additional Information : PAC Cosmetics is a professional makeup artist brand with an aim at bringing the highest quality, innovative cosmetic products to all makeup lovers and professional artists. The brand is known for their wide range of trendy makeup products, tools, brushes and accessories. Explore the entire range of Brush Sets available on Nykaa. Shop more PAC products here.You can browse through the complete world of PAC Brush Sets .